The ministry is a journey. A journey of faith. A journey of grace. A journey of balance. But too often it has been marked by carnal divisions, unbalanced practices, and graceless relationships. How do we get back on track? What are the steps to authentic ministry that exalts Christ, fulfills the Great Commission, and is directed by servant leaders? 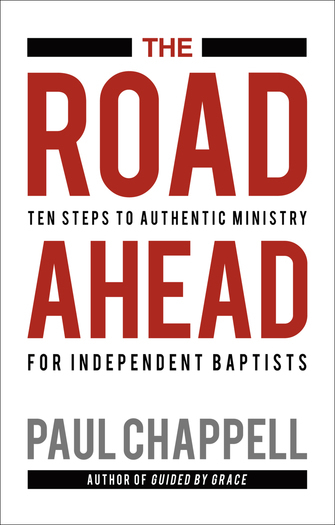 Written for independent Baptists who are intent on pressing toward the mark for the prize of the high calling of God in Christ Jesus, The Road Ahead lays out ten steps to authentic ministry—ministry directed by faith, grace, and truth. If you are a biblical Baptist who cherishes truth, cares about revival, and is concerned for the testimony of Christ, this book is for you. Although we serve in challenging days, the road ahead will be blessed if we make Jesus our target, seek God’s face, and are willing to make mid-course adjustments on the journey.